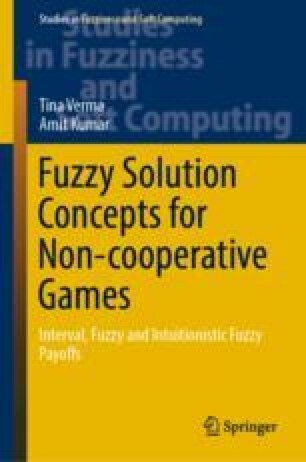 In this chapter, flaws of the existing methods [3–7, 11] for solving matrix games (or two person zero sum games) with interval payoffs (matrix games in which payoffs are represented by intervals) are pointed out. To resolve these flaws, a new method (named as Gaurika method) is also proposed to obtain the optimal strategies as well as minimum expected gain of Player I and maximum expected loss of Player II of matrix games with interval payoffs. To illustrate the proposed Gaurika method, some existing numerical problems of matrix games with interval payoffs are solved by the proposed Gaurika method.